I really want a copy of the last image. 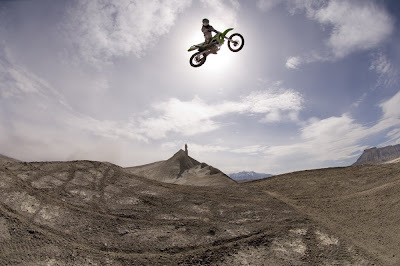 Weston, I can't say it enough...these images are rad! You are going places for sure. Wow, great pictures! Caineville is one of my favorite places to ride. There is really no better use for this area. 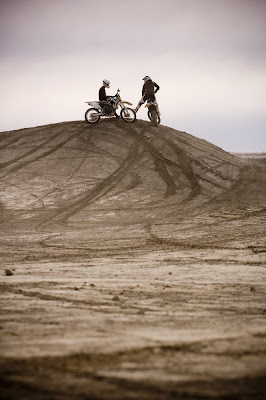 It's desolate, dry, barren...,but some of the best dirt bike terrain in the world. The whole area needs to be shut down.Atv's are damaging the mancos dunes and the dust is nuts.Look at the pictures people!People enjoying vandalizing public property is not a noble activity.Wow,destroying the land so nobody in the future can enjoy it.I guess thats what some people think sharing the land is all about?Who wants to go there when you get run over by yahoos on beer 'n bikes?